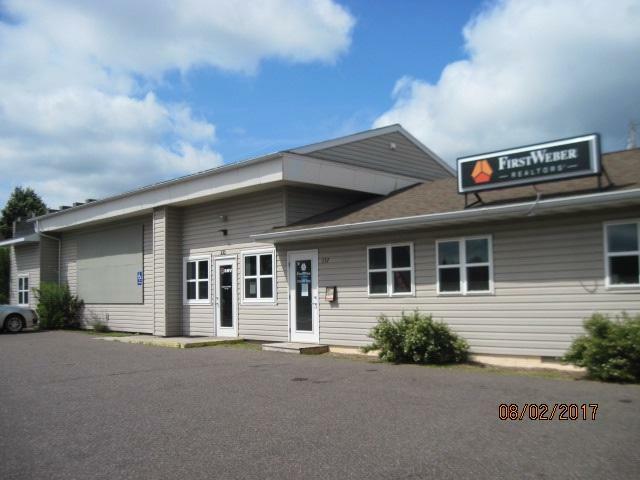 330-332 S 4th Ave, Park Falls, WI 54552 (#1810964) :: Nicole Charles & Associates, Inc. Finally a commercial rental in Park Falls, WI with everything already done. The building houses 2 units that have long term contracts. The contracts have escalator clauses. Current tenants are the state DMV office and a local real estate company. The landlord provides the utilities. Located on a high visibility corner lot on a state highway. There is a paved parking lot in the front for up to 10 vehicles as well as a rear graveled lot in the back. Take a look at this very well kept one story 2600 sq ft building.